When a store detective saw Aida Hanna, 70, walk past cash registers carrying items and not paying for them when she left Whole Foods Market, the detective confronted her outside and later looked over the loot, it turned out to be $222.58 worth of relatively expensive goods: deodorant, argan oil and various seeds. 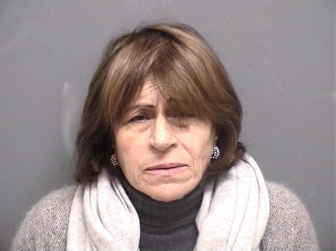 Arrest photo for Aida Hanna, 70, charged with sixth-degree larceny on Jan. 16. The woman, a resident of Staten Island, N.Y., had been seen by the store detective (also known as a “loss prevention officer”) putting the items in a black tote bag before walking past the registers and out the door. Police were called at 5:17 p.m., Jan. 16 by the supermarket at 150 Ledge Road. According to police, the woman admitted to them that she took the items without paying. She was charged with sixth-degree larceny and released on a $200 bond. She was scheduled to appear Jan. 26 in state Superior Court in Stamford.